One day, not too long ago, one of our clients decided it was time to change their portfolio accounting system. Their situation was not unusual. They had been running Advent AXYS for close to a decade and were happy with most aspects of the system. But, they felt that the reporting solution has not kept pace with their clients’ expectations. So, they decided to switch to a competing portfolio accounting system and invested a considerable amount of time and money into data migration. However, the end results were nowhere near as good as promised by the vendor. While our client likes the superior reporting capabilities of the new system, they had to give up robust flexibility they had enjoyed with AXYS. Gone are the days when the team could customize securities and mappings. The new, hosted solution was not built to support those options. 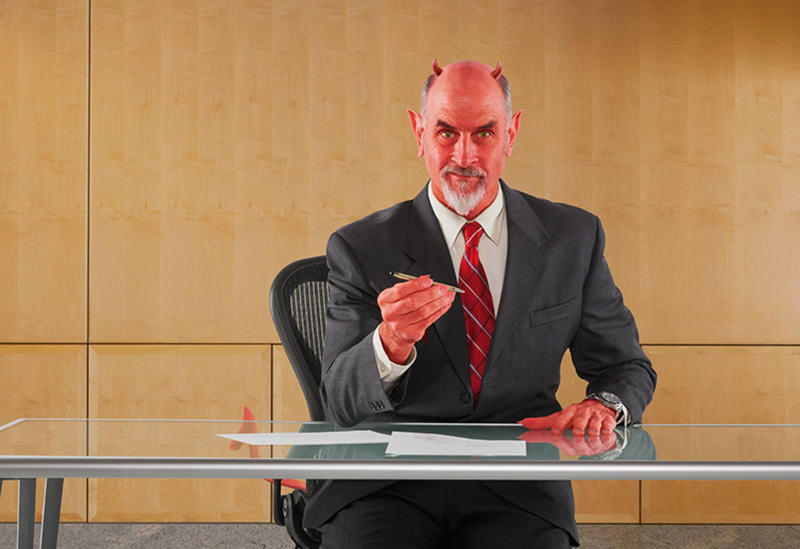 Now our client is missing the devil they used to know. It is important to justify the costs before switching portfolio accounting systems. Most firms have a list of reasons that are driving the change, but they never investigate the full range of their available options before pulling the plug. If they had, they would have realized that many of their pain points could have been corrected without replacing their accounting system. For many clients, reporting overlays are the perfect enhancement to their existing portfolio accounting system. Overlays can close existing gaps while retaining the core functionality to which your team is accustomed. How do you know when a change to the underlying accounting system is warranted versus simply adding an overlay? Here are some questions you should review before making any decisions. What functionality works well in your system? If the reasons you want to switch are related to the shortcomings in reporting functionality, do not allow these issues to blind you to the strengths of your existing system. It’s easy to overlook solid features by over-emphasizing a few pain points and taking for granted what has been working well for years. Some of the commonly under-appreciated features include robust custodian feeds, ability to customize securities and multi-level user access rights. If a reporting overlay allows you to fill the gaps in reporting without compromising these critical aspects, consider adding an overlay first. Are you prepared to manage change? Switching your portfolio accounting system will create a lot of uncertainty and upheaval. To be sure, some of the negative aspects can be managed with a solid project plan, deep commitment on all levels of the firm and plenty of effort. However, don’t let anyone convince you that switching systems is easy. If you run an Amazon search for books about change management, you will get over 24,000 results. That alone should tell you that change is a complex subject! We have witnessed clients adding reporting overlays with great success because that approach greatly reduces the amount of change management required. A key benefit here is efficiency. With an overlay, your staff will be able to focus on the only change in front of them (getting reporting right) without the distraction of having to learn a whole new accounting system. How will you deal with data conversion? A little-known secret of system conversions is that they come with a bushel of unexpected risks. Explaining system changeover is a difficult task, and we have seen many omissions and misperceptions in vendor promises. This included numerous situations where a diligent investment of time and effort failed to ensure data integrity. -Data loss risk: when the data is moved from the old system to the new one, some data may be lost in the process. -Semantics risk: specialized data fields may have different nomenclatures in the new system, creating inconsistencies. -Data corruption risk: unwanted data might be moved into the new system, causing errors. Extended parallel processing is difficult and expensive for everyone involved. Then there are conversion costs. Migrating data and setting system configurations are expensive. You should also consider the “soft costs” such as productivity loss and the added pressure of running two systems parallel for a long time. When you add it all up, conversion will have a higher price tag than you expected. Choosing to add a reporting overlay instead will allow your firm to avoid these data migration costs and eliminate most of the risk since the core accounting system remains the same. The latest and greatest software will always have the “shiny and new” appeal. Before you switch accounting systems, it is critical to understand both the reasons and the costs. Make an inventory of business problems you hope to fix and compare this list against the key functionality of your current system that you might be taking for granted. Keep everything simple and avoid technical jargon that can hide a lack of clarity and solid reasoning. Above all, remember that the “perfect portfolio accounting system” is a fairy tale. There will always be some features that work well for you and others that are less than ideal. To help you think through your decision, we have compiled a partial list of solutions that we often see in our practice. Big caveat: there are many other vendors and decision factors to consider. This chart is meant to give you a framework for getting started, not address every possible question and subtlety of this complex decision. Finally, if you are trying to get better reporting, client portal or document management, it is often best to focus on just those pain points. Work with a specialist who can help you determine whether an overlay on top of your existing accounting system would serve your needs while avoiding the unnecessary upheaval and expense. If you would like more detail on this chart or need help thinking through your unique situation, please reach out to our team here at Accusource. Here is the best advice that I can give. All things being equal, you will have fewer headaches and sleep better at night if you stick with the devil (portfolio accounting system) you know.